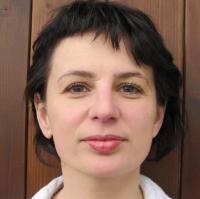 Veronika Douchova is Head of the School of Media & IT. Her main interest is mathematics and its application in both IT and business. She teaches a range of modules that focus on mathematics and database design for technically-oriented classes and professional development for soft-skill-oriented classes. In 2009, Veronika became a principal lecturer in the School of IT and Computing, and in 2011 she was the recipient of the Prague College “Excellence in Teaching” award. Veronika studied Mathematics and Geometry at the Faculty of Mathematics and Physics, and Logic at the Faculty of Arts and Philosophy, both at Charles University. After gaining her MSc. in Mathematics, she continued in graduate studies in Applied Mathematics. Currently, she is finishing her PhD in Cognitive Science under the supervision of Prof. Jaroslav Nesetril. Her academic and research specializations in applied mathematics cover logic, mathematical structures and image processing. She is proud to have an Erdos number of 2. Veronika has more than fifteen years' teaching experience. She previously taught at the Czech Technical University (Applied Mathematics for Engineers and Architects), in the Faculty of Mathematics and Physics (Informatics) and in the Faculty of Arts and Philosophy (Logic). For several years, Veronika also worked as a freelance translator specializing in technical documentation offering full DTP services. Veronika says: "I much prefer the environment of an international college, where students are considered partners in learning." “A geometric model of a water removal surface” In: Problems in water engineering, pp. 49–51, Praha, 2002, ISBN 80-01-02644-2. “Centre diagonals in spherical triangle” In: Proceedings of the 10th math-student conference, pp. 23–28, Bohdanec, 2002. “Spherical triangle trisection” In: Mathematics in Engineering, pp. 60–65, Hejnice, 2002, ISBN 80-7015-864-6.